Nigeria goalkeeper Vincent Enyeama has pulled out of Saturday's 2017 Africa Cup of Nations tie against Tanzania following the death of his mother. "He is completely devastated and coach Sunday Oliseh has excused him on compassionate grounds," a source close to the family told BBC Sport. Enyeama was due to fly to Abuja on Monday but cancelled the trip. Uncapped Wolves goalkeeper Carl Ikeme is set to step into the starting line-up for the Group G qualifier. 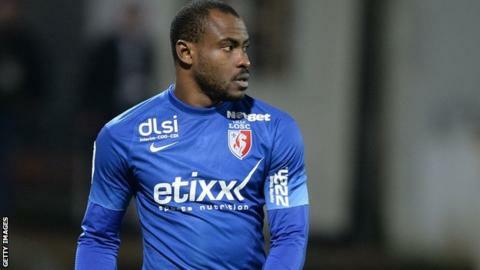 Enyeama, who plays for French club Lille and is the Super Eagles most capped player with 101 appearances, was in goal for Nigeria when they beat Chad 2-0 in their opener in Kaduna in June. Egypt, who have missed the last three continental finals, beat Tanzania 3-0 in Alexandria to top the group on goal difference. Even though they are among the best-known sides on the continent, neither Nigeria nor seven-time champions Egypt qualified for the Nations Cup in Equatorial Guinea earlier this year. Meanwhile, the Nigeria Football Federation (NFF) has confirmed that the Super Eagles face the Mena of Niger Republic in an international friendly on 8 September in Port Harcourt.